What do you think of when you hear the word stereo? Audio technology? Headphones? Intended for a modern world and not for a concert with early music...!? Combined with the term ciacona, it suddenly results in a contrasting mixture of old Baroque traditions with a 21st century listening experience, this is what the new Los Temperamentos program is all about. 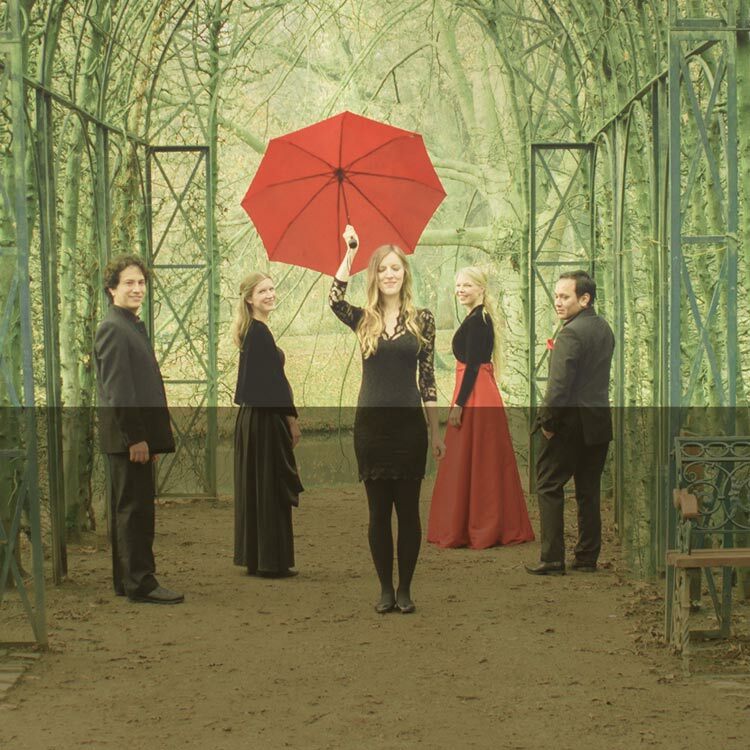 The ensemble picks up various ostinato basses from Europe and Latin America and brings these centuries-old sounds to the stage in a familiar, lively and innovative way with a modern face. There is no trace of dusty baroque sounds! Ciacona Stereo means experiencing Baroque in the here and now, brought to the present with the knowledge of the historical sound quality. Experience masterful works of European composers, colorful sounds from the Caribbean or let yourself be carried away by musical romances into pastoral dreams. In this concert, Los Temperamentos will lead the audience into times long ago and places far away; into the Spanish speaking world of 300 years ago. This was a world continuously in a state of change – as our world is now. 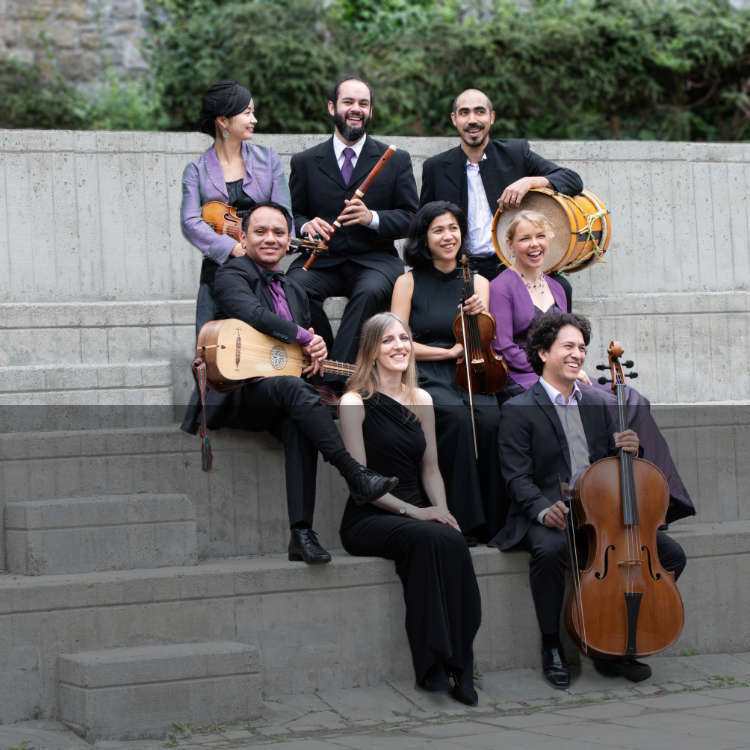 With the program, “Entre dos Tiempos”, the Ensemble brings a colourful and exciting concert to the stage that is intensified by the rhythmic and dance elements of baroque music from Latin America and Southern Europe. The title encompasses the sense of a duality of human life, of music and overarching existence. The program incorporates emotions and exotic cross rhythms of South America’s pre colonization which finds itself spanning the divide between European and pre European culture. The music reflects life, as life itself was a dance continually changing its beat. With pieces from Middle and South America as well as southern Europe. In this program it is all about Love and Madness. The ensemble addresses a question as old as mankind itself: Can there be passion without insanity? Is passion, after all, emerging from insanity? During the concert, the audience is introduced to the baroque composers’ various takes on this matter and as usually Los Temperamentos add to those works their unique Latin American-European inspired way of interpretation. The ensemble will present works by famous Baroque composers as well as rediscovered treasures by still unknown masters: A music full of wild thirst for revenge and baroque reverie interwoven with wonderful intimate moments and lively, danceable improvisations. ʺEl Galeón 1600ˮ represents the voyage between two worlds: a journey taken by many after the European conquest of Latin America. Whether rich or poor, aristocrat or slave, the travelers carried their cultural heritage with them which resulted in a unique blend of traditions of the Southern and Northern hemispheres. 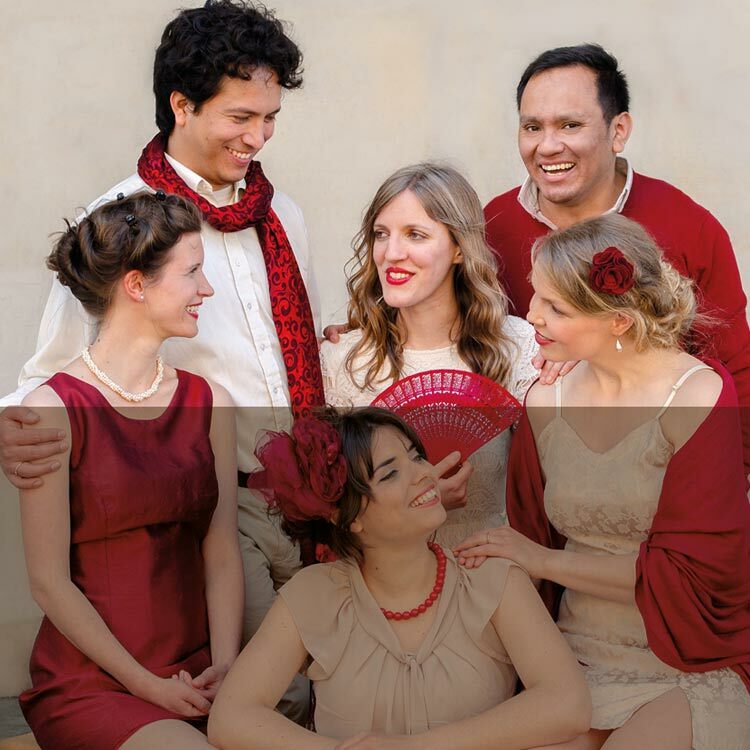 Los Temperamentos traces their path in a musical way as they revive those travelers’ lively spirit for adventure and nostalgia for the past with an extraordinary repertoire of sentimental songs as well as lively Tonadas and instrumental music. Baroque music from Italy and Latin America will be performed to convey the complex mix of musical traditions that emerged in this eventful century. The arrival of the European »Conquistadores« in the Caribbean at the end of the fifteenth century with the intention of claiming the Americas for themselves marked the dawn of a new era. This brutal beginning led to the radical extermination of entire cultures, whose traditions were irretrievably lost. Despite this massive loss, a few traces of indigenous musical practices survived in many different forms, such as in the music brought back by the Europeans from the “Old World” and in that of the people taken from Africa to be used as slaves. South American music that returned with the Europeans made its own impact as well, particularly on the Iberian Peninsula and the then Spanish-ruled Netherlands and Naples. This program shows a summary of several hundred years of cultural and musical history. The forty days of Lent, which in Christianity serves as a time of contemplation and preparation for the feast of Easter, is one of the major sources of inspiration for composers of European liturgical music. Inthe Baroque Era there were a great variety of compositions that are based on the theme of Lent. "Los Temperamentos" performs a selection of compositions in contrasting styles in this program. The ensemble repeatedly emphasises new aspects of the old famous compositions and introduces audiences to obscure, forgotten compositions. For example they perform a variety of music ranging from the dramatic works of Caldara to the intimate songs of the East Frisian composer Erlebach. Born in Esens the musician and composer is one of the less performed of the baroque masters, although his works show great skill and emotionality. With works by Caldara, Erlebach, Telemann, etc. The program combines South American and European Christmas music. It includes a variety of diverse baroque sounds ranging from Mexican Marizapalos songs to adaptations of traditional German Christmas chants. 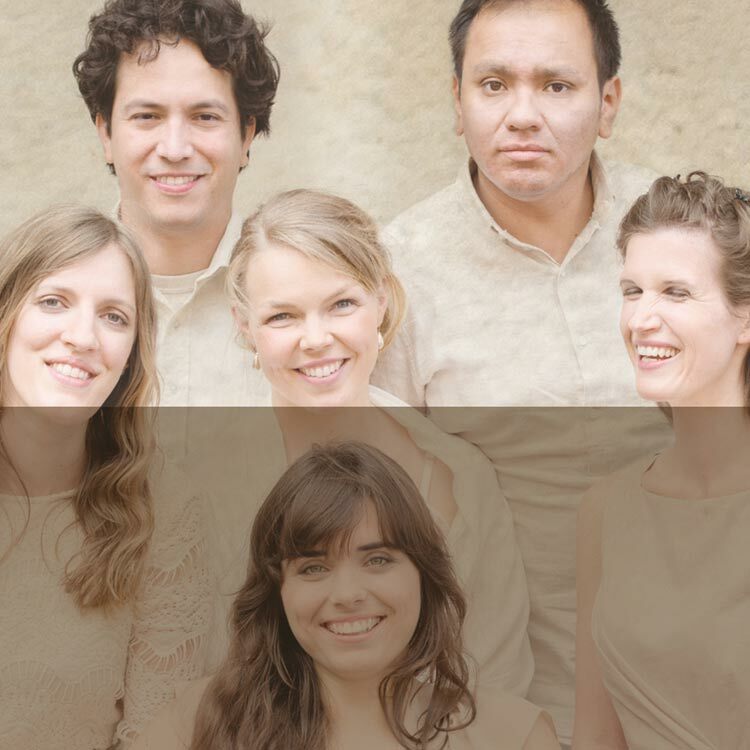 Los Temperamentos present a mixture of contemplative and cheerful instrumental and vocal compositions that reflect the festive customs of their different cultures. Amongst others this concert comprises works of the Peruvian codex “Martínez Compañón” - an impressive contemporary witness of the Christianization in 17th and 18th century Latin America - and European music from Italy by such composers as Domenico Zipoli or the rarely performed but all the more interesting Cristofaro Caresana.